The Mountain View company Google already launched two developer builds of the upcoming Android Q, the first preview rolled out in last month and the second was rolled out a couple of days ago. Well, we know that the developers of the next major version of Android making their best to seal the complete loopholes and to give maximum privacy as well as a security to the users of the Android smartphones. Now we got new information which suggests that the developers of Android Q will implement a 3D Touch of iOS like feature in the upcoming version of the Android operating system and the feature will be dubbed as the deep press. The feature will enhance functionality tied with a pressure sensitive screen, we know that there is already a couple of custom implementation of this feature but in the next major Android update, the company will bring this feature natively. 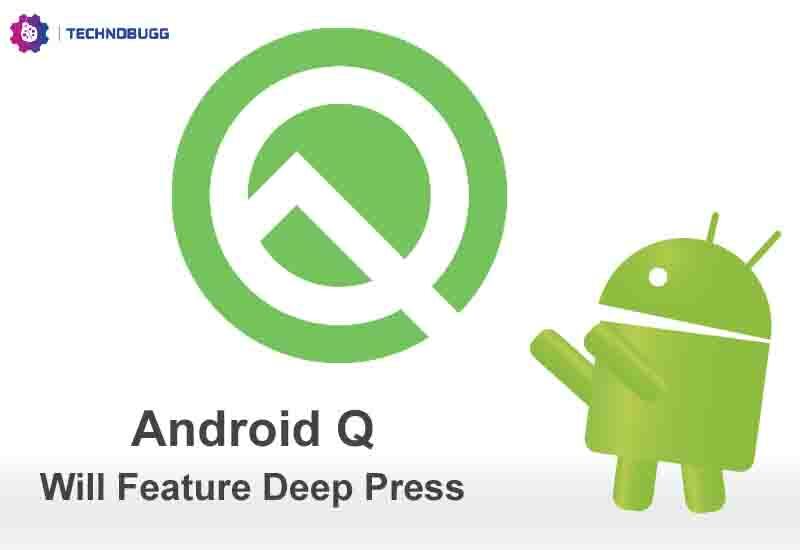 Having said that, currently we don’t know how the feature will work but we are still far away from the stable version of Android Q or Android 10. We believe to know more about the same in the coming months and we recommend you to stay tuned with us for the latest updates.